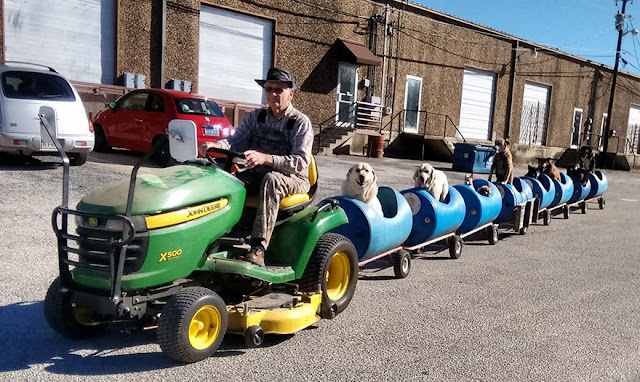 Eugene Bostick, an 80-year-old retiree in Fort Worth, Texas, spends his days operating what just might be the coolest train in the world. 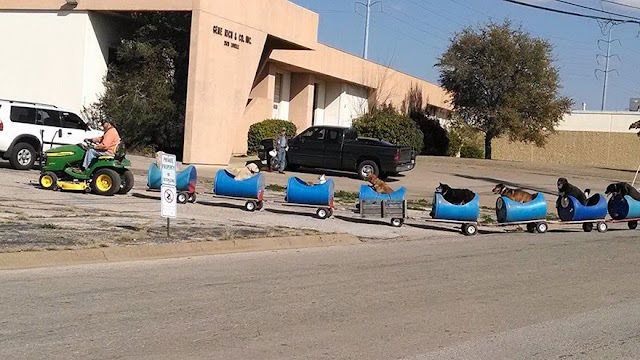 His homemade dog train takes rescued strays out for fun rides around the neighborhood and in the surrounding woods. Eugene and his brother Corky live on a dead-end street where many locals bring their unwanted dogs to leave them behind. 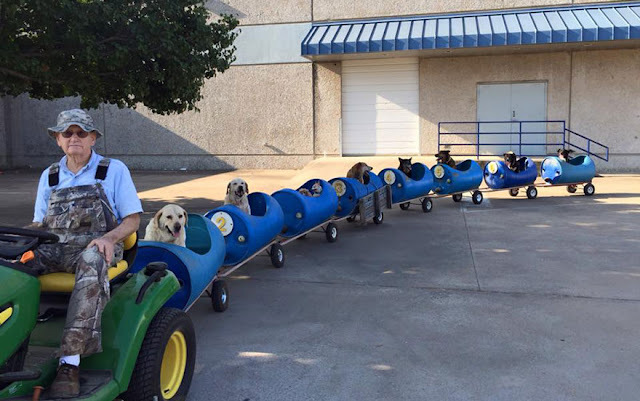 Eugene began adopting them and taking them for rides with his tractor. “We started feeding them, letting them in, taking them to the vet to get them spayed and neutered. We made a place for them to live,” Eugene told Dodo.